In every sport (basketball, baseball, golf, tennis... to name a few) how you follow-through after the point of contact or release greatly determines the outcome of your action. A weak follow through can be difference between a game winning shot and a miss. R-PCT™ is your post cycle follow through that maintains the momentum created during your cycle and allows your body to rebound naturally and safely. 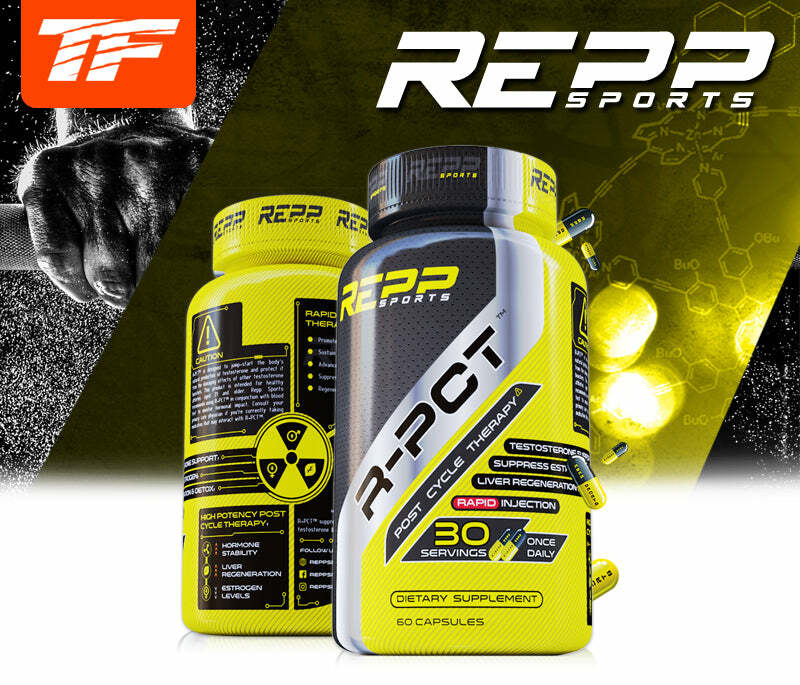 CAUTION: R-PCT is designed to jump-start the bodys natural protection of testosterone and protect it from the damaging effects of other testosterone boosters. This product is intended for healthy athletes aged 21 and older. Repp Sports recommends using R-PCT in conjunction with blood test to monitor hormonal impact Consult your primary care physician if youre currently taking medication that may interact with R-PCT. DISCLAIMER: Consult your doctor prior to use, especially if you are taking any medications and have, or are at risk for prostate disease, heart disease, or other medical conditions. Do not exceed suggested dosage. Discontinue use immediately if you experience rapid heart beat, dizziness, vomiting or other similar symptoms. Side effects may include acne, hair loss, or increased aggressiveness. All persons are advised to consult with their doctor or other medical authority before use of this or any other dietary supplement. Do not use product if your health status is unknown. All persons are advised to contact their drug testing organization prior to use of this or any other dietary supplement. Not suitable for persons under the age of 21 years. ALLERGEN: Manufactured in a plant that also processes milk, egg, soy, peanut, fish, crustaceans/shellfish, tree nuts and wheat products.